i am a huge design*sponge fan. 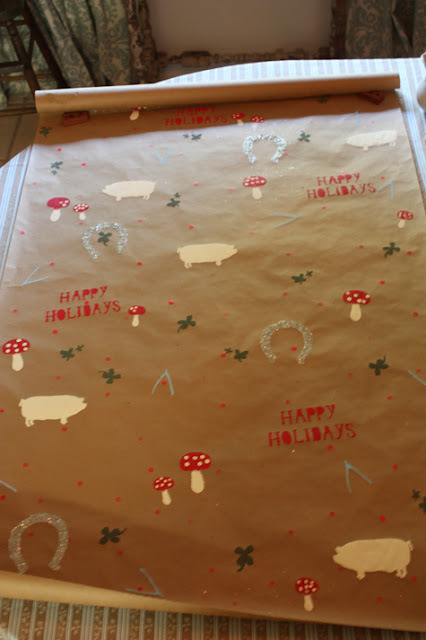 so just in case you missed the last DIY wednesday here is my favorite project. a tutorial on how to make your own handmade gift wrap. i'm so excited to make my own wrapping paper this year! wonder how it will turn out. Wow, this is great! We used to use comics from the newspaper for gift wrapping children's gifts. Thanks you for visiting my blog! I'm following you! I loved your blog! I'll be back soon to read some more! How cute! I hate paying for wrapping paper so this is awesome. 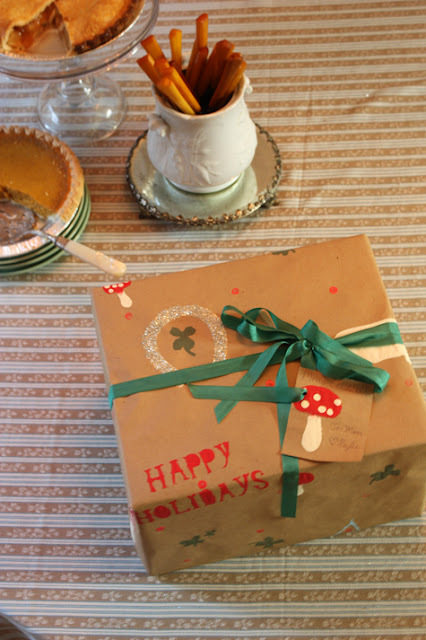 Great idea for the wrapping paper! I love your blog. I'm following you now. I am so behind on my reading, so I didnt see this on DS but I love yours! I did this a couple christmases ago with white snowflakes. I didnt like to thick my brown paper was though, made it hard to wrap with. Is yours thinner? Where did you get it? Thanks for commenting on the mercury glass ornaments! I have been thinking about you lately. How are you? Do you ever make it into Anchorage? We will be living there in 3 weeks (wow that went fast!). Let me know if you ever come to town and we could get crafty!! Love this! Your blog is beautiful!